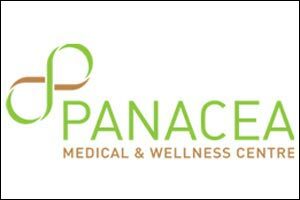 Panacea Medical & Wellness Centre is a multi-specialty primary health care facility that offers services in Internal Medicine, Paediatrics, Obstetrics & Gynaecology, Laboratory, Dietetics, Alternative Medicine and Dentistry. Located in the Umm Hurair area of Dubai, it is easily accessible from both Bur Dubai & Deira. Spread over 4004 square meters it offers patients a relaxing ambience in a comfortable setting. The waiting areas are lit with natural light by day and energy saving light by night. A play area, dedicated breastfeeding room and diaper changing station are available for the little ones. The centre is also equipped with adaptive facilities. Plenty of municipality parking is available in front of and behind the clinic. The friendly staff and experienced consultants are available morning and evening for your convenience. The centre and its medical staff are licensed by the Dubai Health Authority. The centre is equipped with modern equipment and focuses on both the preventive and curative aspect of ailments. The centre’s physicians are available for providing quality medical care and treatment to patients. Besides, they can also be consulted for steps to prevent common diseases and conditions such as obesity, Type II diabetes and heart disease. The centre also offers vaccinations for flu, typhoid, jaundice (hepatitis A), meningitis, chicken pox, cervical cancer (HPV vaccine) and intestinal infection (rotavirus vaccine for babies under 6 months) as well as routine vaccinations (Polio, DTaP, Hib, BCG, MMR, Hepatitis B Vaccine & PCV) as per Dubai Health Authority guidelines.